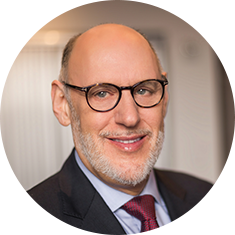 David S. Zweighaft, CPA, CFF, CFE, is a Partner with RSZ Forensic Associates, a New York City-based forensic accounting and litigation consulting firm. David is a fraud subject matter expert and since 1993 has served the legal and financial services communities in both consulting and expert witness services. He has significant experience in accounting, auditing, finance, and project management in diverse industries. David is well-versed in accounting policies and procedures, financial reporting with an emphasis on investigating financial statement misrepresentations, and assessing the effectiveness of internal controls and their impact on operational efficiencies. David is responsible for providing RSZ Forensic’s law firm clients with litigation consulting services, including conducting investigations, performing analyses, calculating economic damages, providing expert witness testimony, and performing due diligence reviews. An experienced expert witness, he has testified in depositions before arbitration panels and judicial hearing officers, as well as in state and federal courts. David’s background includes four years with a risk management advisory firm as the Associate Director of their Fraud Risk Management practice and over thirteen years with global public accounting firms focusing on litigation and forensic services. He also assisted the United States Department of Justice (Southern District of New York) for two and a half years as a Senior Asset Forfeiture Financial Specialist. He has authored numerous articles about fraud and accounting issues, and has given presentations to many professional groups. David has been an Adjunct Instructor at New York University’s School of Continuing and Professional Studies, where he taught auditing, forensic accounting, and litigation consulting. He has also been a Faculty Instructor at international conferences for anti-fraud professionals. The United States Department of Justice – David assisted Federal Prosecutors and U.S. Marshals identify, seize, and recover over $175 million in assets that were proceeds of unlawful activities relating to several indictments. Recoveries included financial assets, personal property, real estate, operating businesses that had to be monitored and managed to retain their value until they could be liquidated, and virtual currency accounts. Start-up Enterprise – In response to a breach of fiduciary duty by the remaining partner of a business, David prepared an expert report and successfully maximized damages awarded to the founding partner of a start-up enterprise. The damages were based upon the founding partner’s pro-rata share of actual operating results, and were adjusted for the subsequent sale of partnership interests to third parties, totaling $2.8 million. Expert Testimony: Post-Transaction Dispute – Representing the sellers of a business, David successfully rebutted the buyer’s expert report and testified to the errors in the buyer’s interpretation of the earn-out formula in the purchase agreement. Based on that testimony, the arbitration panel found in favor of the client, resulting in over $500,000 in additional payments. Swiss Bank Holocaust Asset Investigation – David managed the largest Holocaust Asset investigation relating to Swiss Banking activity in the United States. He oversaw the development of a database to track the analysis of over 15,000 boxes of documents dating back to 1937. David also maintained dossiers on all account holders of record prior to World War II and reported the disposition of their assets. The report was presented to a Special Master, who accepted the findings. Insurance Coverage – Plaintiff claimed lack of coverage in a matter where they had breached the terms of their policy and claimed damages of $8 million. David successfully rebutted their expert’s report, finding errors in methodology and misinterpretations of policy terms, resulting in zero damages.